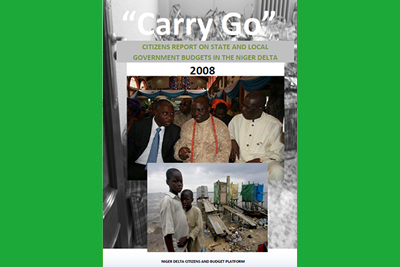 This independent report by the Niger Delta Citizens and Budget Platform (NDCBP) is based on summaries of analysis and monitoring reports of the 2008 state and local government budgets in Akwa Ibom, Bayelsa, Delta and Rivers State. The report documents, from the perspective of citizens, how state and local government budgets have been formulated and implemented. 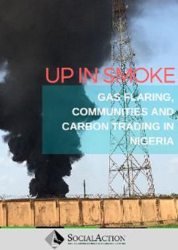 It identifies the causes, processes and outcomes of the corruption and mismanagement of public funds in the states and local government areas of the Niger Delta. The analysis of the budgets revealed that huge allocations for the running of the governors’ offices and state houses of assembly are presented side by side limited allocations to the most important service areas like health and education. In cases where allocations were substantial, budget implementation was inadequate. In 2008 Akwa Ibom and Bayelsa States allocated over 23% and 8% respectively of their entire state budgets on running their government houses. In addition, huge allocations were made for “security vote”, which were expended at the sole discretion of the governors. The 2008 budgets of Rivers, Akwa Ibom, Bayelsa, and Delta states were formulated at a time of rising crude oil prices and the states’ receipts from the Federation Account actually rose to unprecedented levels. But inability of the governments to properly apply the revenues to economic development tended to hurt the capacity of the states to deliver budgeted programmes towards the end of the year, when dwindling oil prices set in and tried to force introduction of some austerity measures by the federal government. The report concludes that addressing the problem of mismanagement of public resources would involve major restructuring of the governance systems; including major electoral reforms that aim at restoring suffrage to the citizens. There is need for fundamental restructuring of the local government system in ways that reconciles systems of community governance with the Local Government Areas (LGA) councils. The restructuring of local governance and major electoral reforms would assist communities and citizens to assert their rights and ensure that revenues from oil and gas exploitation are utilized for the benefit of communities. 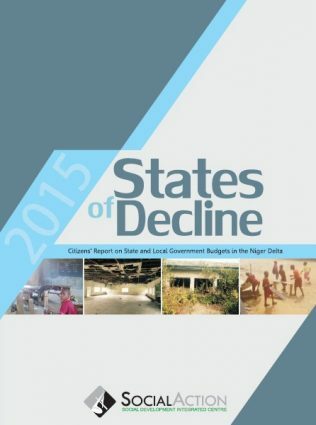 · State and local governments to publish annual state budgets proposals prior to presentation to the state houses of assembly and local government legislative assembly respectively. The governments should also make quarterly budget execution reports available to the citizens. Such reports should detail monthly state government income from federal allocations and other sources, and state government expenditures, including allocations to local governments. · Reduction in allocations to the offices of governors and chairpersons of state and local governments and allocation a greater percentage of budgets to education, health, and infrastructure, as these are the pivot upon which the progress of the people and the economy revolves.